Home > ada-audio > Segways, golf carts, four-wheelers, Oh my! 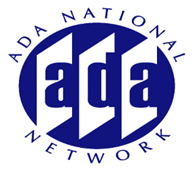 Sandy Lahmann is an Information Specialist with the Rocky Mountain ADA Technical Assistance Center. She is author of Disability 101, a disability awareness and etiquette column published by the Summit Daily News. She has also been involved working with the Summit Stage transportation authority to improve accessibility on their fixed route bus service. Ms. Lahmann received her B.A. in Special Education from the University of Northern Colorado in Greeley and taught for seven years as a licensed special education teacher. 08/21/2012 - Segways, golf carts, four-wheelers, Oh my!